Able Locksmiths, LLC was founded in 1979 by Chester Christie. Mr. Christie ran Able Locksmiths, LLC from his home with the help of his wife Barb. We hired our first employee, Shon, in 1989 to support our growing company. By 1993 Able Locksmiths, LLC had outgrown Mr. Christie’s home. At that time, we opened our first walk-in storefront. 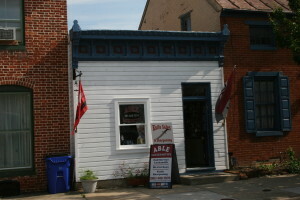 In 2011, we moved into our larger location at 304 West Patrick Street, Frederick, MD 21701 . Able Locksmiths continues to be a family owned business with 6 employees. We are a veteran friendly employer—33% of our employees are veterans ! We currently have a fleet of 4 vans on the road, providing services to Maryland , Virginia , West Virginia and Pennsylvania. To this date, we have steadily expanded the services that we provide and the products that we sell. We are proud to say that we are a full service locksmith company.